So, you might have heard of Android Wear – a new platform that Google has designed specifically for wearable devices. The company has choose watches as the first form factor to feature Android Wear and has worked with several company to deliver the first wave of products for the platform including the one that is shown above. Called as the G Watch by LG, this revelation which was done alongside the announcement of Android Wear pretty much confirmed the rumour that we’ve heard just few weeks ago. 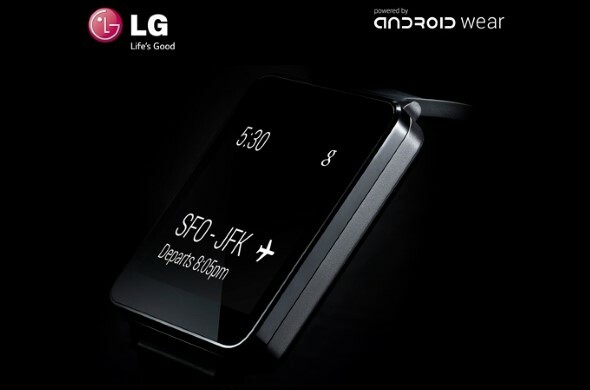 Being one of the latest leading Google partner thanks to their recent collaboration that led to the release of Nexus 4, Nexus 5, and G Pad 8.3 Google Play Edition, LG once again worked together with Google during the early stage of G Watch’s development to make sure that it works well with Android Wear. LG claimed that the watch will be the low barrier of entry for developers out there and will also offer the best Google experience for end users. Despite that, the hardware specifications of LG G Watch is still a secret although the Korean company did mentioned that the smartwatch will support a wide range of Android smartphones – presumably from LG itself as well as other manufacturers. Additionally, LG has plan to introduce the G Watch in the second quarter of 2014 which is coming very soon. That being said, I don’t expect it to be released in Malaysia as soon as we like to though considering LG’s disappointing track record when it comes to mobile devices.